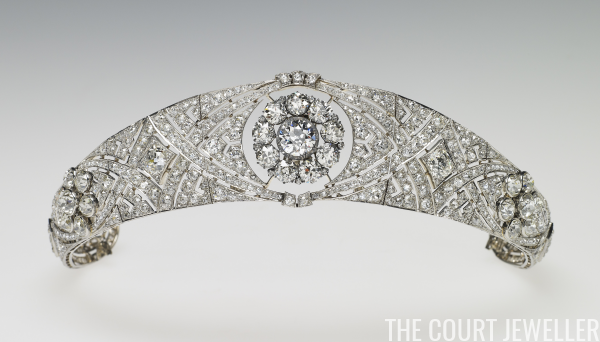 The Royal Collection Trust has generously provided hi-res handout photographs of Queen Mary's Diamond Bandeau, which the new Duchess of Sussex wore this morning for her wedding. You know what that means -- it's bejeweled close-up time! The Royal Collection has also provided a little additional information about the tiara: "It was specifically made for Queen Mary in 1932 to accommodate in the centre the detachable brooch given as a present for her own wedding in 1893 by the County of Lincoln." 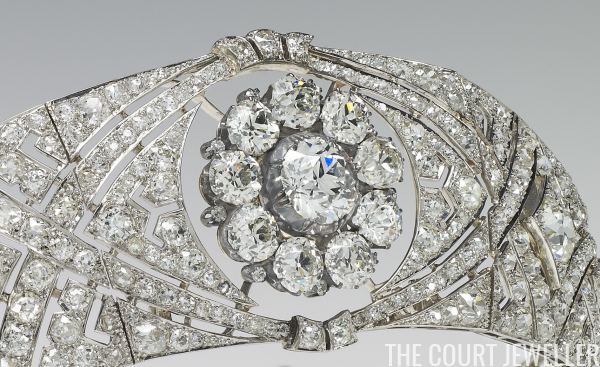 They add, "The bandeau, chosen from Her Majesty's collection, is formed as a flexible band of eleven sections, pierced with interlaced ovals and set with large and small brilliant diamonds. 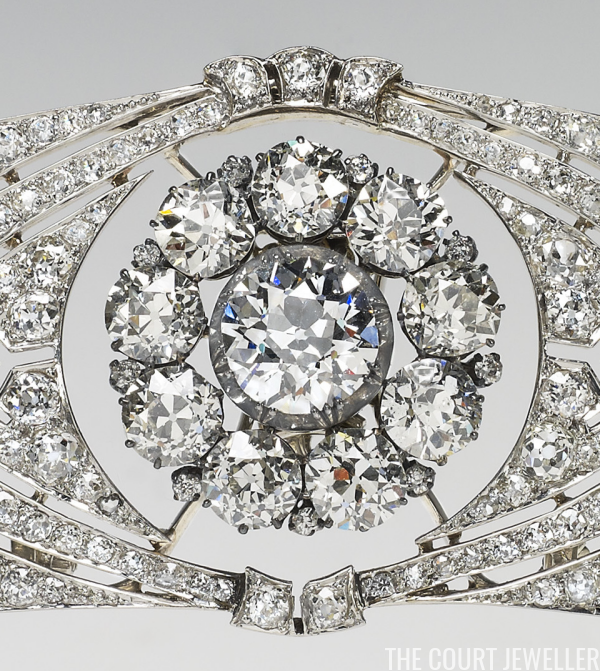 The centre is set with the detachable brooch of ten brilliant diamonds." Queen Mary sometimes wore the tiara with other brooches in place of the County of Lincoln Brooch, which is shown in detail here. 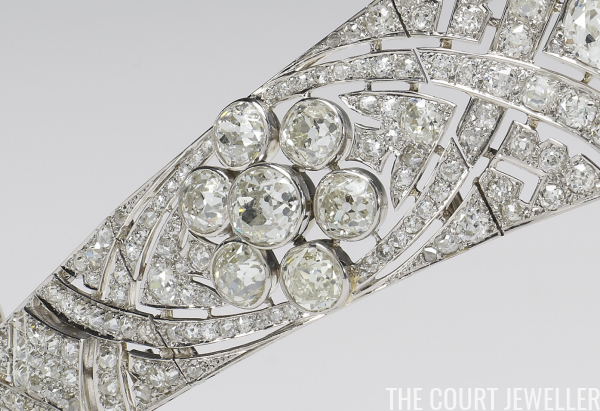 The tiara hasn't been seen in public for more than half a century. 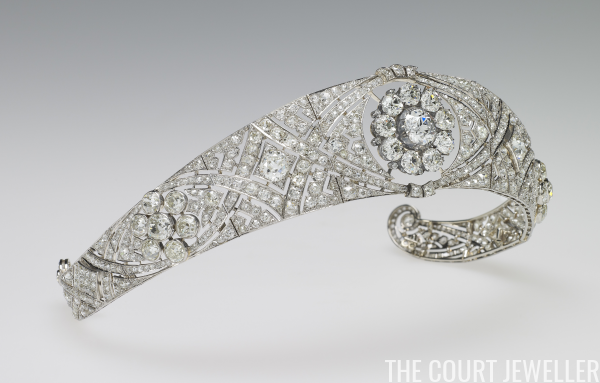 The Royal Collection explains, "The bandeau and the brooch were bequeathed by Queen Mary to The Queen in 1953." The bandeau hadn't been seen in so long that it had fallen off many royal jewel lovers' radars -- including mine! What do you think: did it live up to your royal wedding expectations?